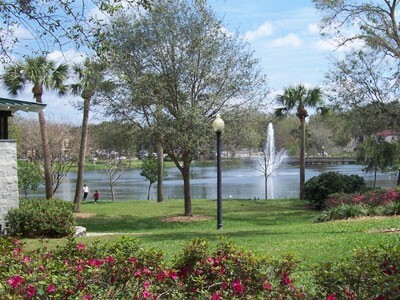 Maitland is a suburban city in Orange County located about 7 miles north of downtown Orlando. Over twenty lakes, heavily treed subdivisions, proximity to downtown Orlando, and A-rated schools, make Maitland a highly desirable community for families. Prices of homes for sale are a bit more moderate than Winter Park, but still at the higher end of the spectrum because of the sought-after location. Most Maitland homes were built during the boom of the 1960's. Many have been renovated and updated and there are a few newer home subdivisions scattered about. 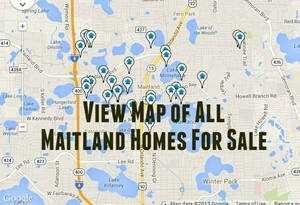 Click the blue button to view all Maitland homes for sale. Maitland is home to Maitland Center, a large suburban mid-rise office park. Maitland Center houses the RDV Sportsplex, a multi-purpose sports and recreation facility owned by the owner of the Orlando Magic NBA basketball team. The city is in the process of revitalizing its downtown area and has established a "Cultural Corridor", created to link key historic and cultural elements such as the Arts Center, the Maitland Public Library, and historic local homes.